1) We can get carried away with the many things we'd like to accomplish. A long list or too many images on the vision board can be overwhelming, and we're more likely to forget our commitments a few months down the road. Less is definitely more when it comes to intention setting. 2) Some goals aren't born from an authentic or connected place. They might be set from a place of expectation, societal pressures, comparisons and/or by an overactive ego. 3) Many of us (me included) might be a tad bit addicted to constantly accomplishing. I'm not condemning my fellow "doers" - goals help us to grow and they allows us to feel in control (maybe even worthy)- but I am suggesting that a life that is planned to a tee leaves little room for spontaneity, trust, or faith. I like to think that if we have too tight of a grip on our lives then we become blind to the subtle shifts that can (and need to) occur. The winds can change at any moment if we're open to them. They can steer our lives in a direction that we never imagined (or planned); it could result in the best turn of your life! Point #3 really pushed me to find another way of setting goals. I wanted to find a method that allowed me to go with the flow and to trust more. 12 months is a long time and our needs and wants are constantly changing. 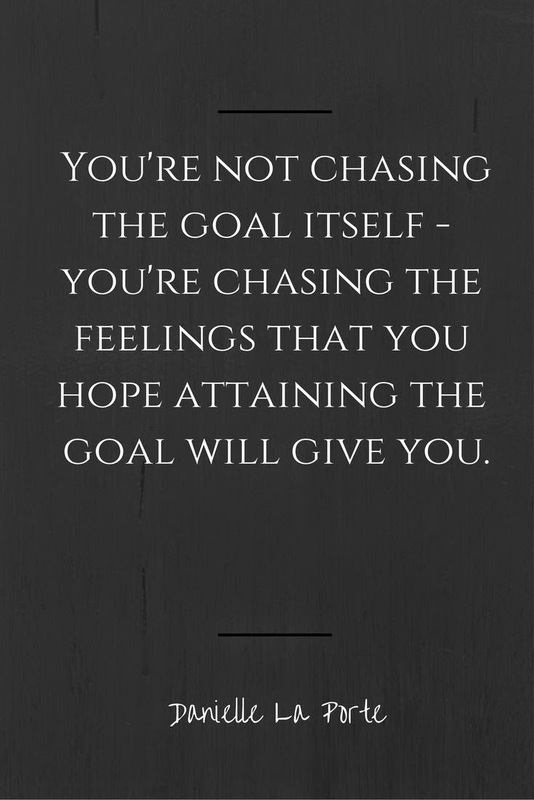 If we're chasing goals that no longer resonate with us just because we set them in January, and we just can't let them go because that would mean failure, then what are we even doing? What are we really aligning ourselves with? While on retreat last October, a yogi referred me to the book, The Desire Maps. I went home, bought it, read it, began the workbook portion of it, and then kept seeing it everywhere: on social media, on friend's bookshelves, in every bookstore, etc! The author, Danielle LaPorte seemed to have the same struggles with goal setting. She discovered that we tend to work with goal setting from the outside in, not the inside out. "Typically we'd be aiming to 'own a two-bedroom house in the city,' with the unspoken (and often also unconscious) hope that we might feel something along the lines of 'vitality' and 'connected' when we got it. But that's backwards." She wrote, "Aiming for results is what moves your life forward. Except that most goal-setting systems fail to harness the most powerful driver behind any pursuit: your most desired feelings." Her philosophy is to first figure out how you want to feel. From there the ambition will naturally emerge from the depths to the surface. She believes that, "...when you're clear on how you want to feel and you set about generating those feelings, you take charge of your life and your happiness. This is the most consciously creative act of being human." Her book takes you on an extremely personal journey; I highly recommend it for a powerful and honest read. Even if you don't have time for it, her practice can be easily adopted. 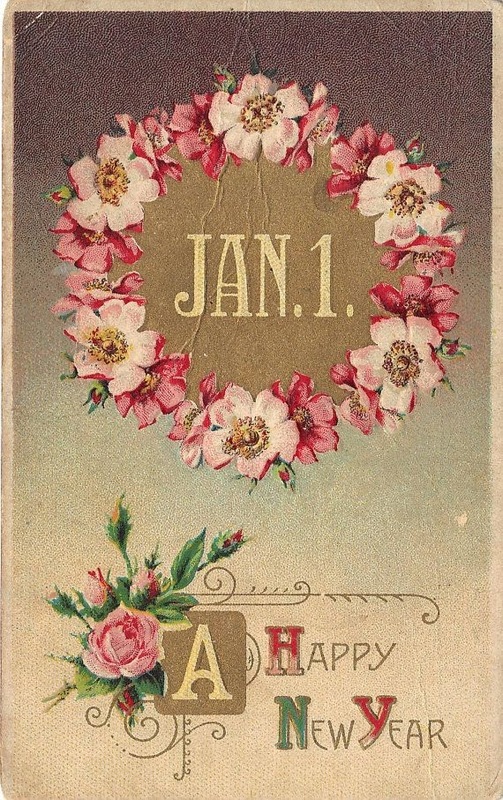 Simply sit with how you'd like to feel this year, this month, this day. Let one word, or a few words, bubble up. If the words create a spark in you than you've chosen the perfect ones. Reflect on what you can do to feel this way. What can you get rid of, what can you invite in, what or who can you spend your time with, where can you be, what can you be doing? this is for my spirit, for nature, for my confidence, for my inner dancer and inner child. nurturing and supporting the health of my mind and body, nurturing my own journey and my community's, family's, friend's and partner's, nurturing the process. to remain curious, excited, inspired, to go forward zealously, to pursue the things I am passionate about, to turn strongly around my authentic centre. to who I am with in the moment, to what I am with in the moment, to family, friends and to my spouse, to truth, to my Dharma (purpose), to my inner voice, to Spirit, to nature.